A crime awareness and prevention drop-in session has been arranged after residents and councillors expressed concern about the violent nature of several recent burglaries in Brighouse. Councillor Scott Benton has arranged a drop-in session which will be run by the police to offer crime prevention advice, raise awareness of the importance of protecting property, and to reassure residents about the steps the police are taking to tackle this issue. 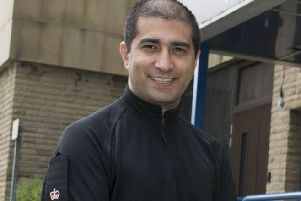 "The number of burglaries across the wider Brighouse area has fallen following a spike in incidents several years ago, thanks to the recent increase in Police Officers and PSCOs and the proactive measures which the Police have taken to tackle this issue," said Coun Benton (Conservative). "However, it is still important that homeowners take every possible step to keep their home and their possessions safe. This session run by our local Police will offer practical advice and guidance and will hopefully help to reassure local people." The session will take place at the Community Centre on Highmoor Crescent, in Clifton on January 31 from 6.30pm to 7.30pm.